If you do not have a reason to celebrate something today, why not celebrate National Fudge Day! Yes June 16th is the day chosen to celebrate fudge. 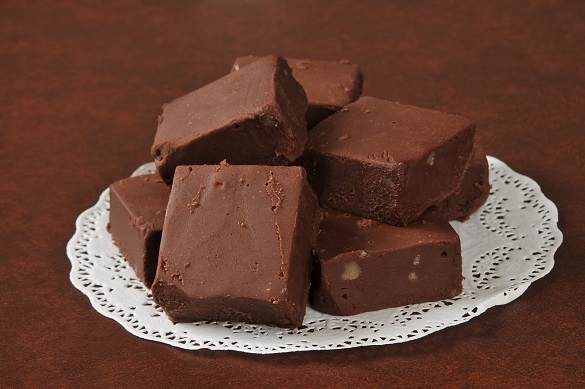 Fudge is a splendid confection made with sugar, milk, butter, and your favorite flavoring. Some popular varieties include mixing chocolate with peanut butter, maple, caramel, peppermint, and marshmallow. Were you aware that fudge used to be chocolate-less? 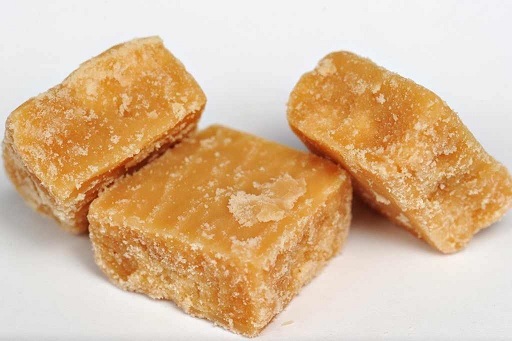 The modern-day fudge we enjoy evolved from a candy called Scottish Tablet, which originated in the late 17th century. While the recipes are some what similar, Scottish Tablet has a much harder texture and lacks the most important ingredient, chocolate! Preparing fudge may seem easy enough, but it does require a candy thermometer, as fudge is very easy to overcook or under cook. There are some fudge recipes that have been developed for the home cook. The recipes may include corn syrup, which prevents the process of crystallization, sweet condensed milk, marshmallow cream or other ingredients that guarantee the perfect fudge texture. Though they do not guarantee the same taste as original fudge! To get that original fudge flavor, you will need to use a traditional recipe with a candy thermometer or buy your favorite fudge at your local See’s Candy store or favorite equivalent and enjoy National Fudge Day. Our featured recipe is Easy Chocolate Fudge and here is what you will need. To make things even simpler, replace milk and coconut sugar with a 14 ounce can of sweetened condensed milk. Prepare a 8 inch x 8 inch square baking pan lined with foil. Set aside. Melt chocolate in a glass bowl over hot boiling water. Once melted, remove hot water from pan and pour melted chocolate into pan and place back over heated element. Add coconut sugar, and milk. Stir into chocolate, bring to a boil, stirring constantly. Reduce heat to a simmer. Do not stir again. 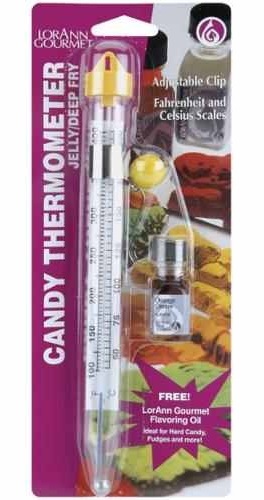 If you are using a candy thermometer, place it into the pan and cook until temperature reaches 238 degrees. If you are not using a thermometer, then cook fudge until a drop it in cold water forms a soft ball. Feel the ball with your fingers to make sure it is the right consistency. It should flatten when pressed between your fingers. Remove from heat. Add nuts, butter and vanilla extract. Beat with a wooden spoon until the fudge loses its sheen. Do not under beat. If using the sweetened condensed milk, just add to chocolate after it has melted, and stir in. Remove from heat and stir in nuts and vanilla. When using the sweetened condensed milk, there is no need for a candy thermometer. Pour into prepared pan and let cool. Then place pan in the refrigerator for about 2 hours or until firm. Lift foil and all from pan, and cut into about 50 squares. Save fudge wrapped in plastic wrap. This entry was posted in Dessert, National Food Days (USA) and tagged Cake, Casserole, Chocolate, Chocolate cake, Condensed milk, Cool Whip, Cream, Fudge, Ice cream, Whipped cream. Bookmark the permalink. Great Day to celebrate! I love everything chocolate! Thanks Roger! Hope he is able and that you both enjoy the confection! !